Position: Assistant Research Professor; non-tenure track, three-year appointment (12-month), renewal based on satisfactory performance and availability of funding. 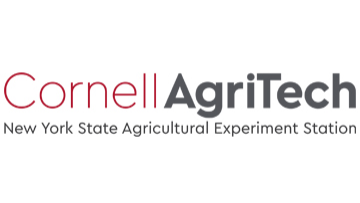 Cornell AgriTech (https://agritech.cals.cornell.edu) invites applications for a non-tenure track Assistant Research Professor position in Systems Engineering and Data Analytics for Specialty Crops. The use of sensors, mechanical and digital control systems, autonomous robotics and data management algorithms offer new opportunities to improve crop management systems and enhance breeding programs. Digital technologies can achieve improved crop management and monitoring targets with respect to specific physiological and environmental parameters that impact efficiency, productivity and quality in agricultural systems. Integration of these practically applied technologies with existing ground and airborne sensor systems to determine the most appropriate method of obtaining actionable information in a timely manner will add enormous value to crop management through increased production, optimized inputs, reduced environmental impacts, improved product quality and reduced labor costs. These systems can be particularly useful in improving the sustainability and profitability of high-value specialty crops, such as those in fruit orchards, vineyards, and vegetable systems under conventional or organic management. The successful applicant to this full-time, 100% research position is expected to develop an internationally recognized, externally funded research program focused on developing, evaluating and commercializing engineering systems for use in specialty crop management and breeding. The research program can include one or more of the following: sensor development and deployment, autonomous robotic systems, mechanical and digital control systems, data engineering, data science, improved crop management, reduced costs of production or labor savings. Research results will be integrated with ongoing specialty crop research programs and disseminated to industry and extension stakeholders through reports, product development and technology partnerships that foster commercialization. The program will build on and be supported by dynamic collaborations at Cornell AgriTech with extension and industry partners to achieve applied impact in specialty crop breeding and production systems. The successful applicant will work with research and extension faculty in related disciplines across Cornell University. Ph.D. degree in engineering, computer science, data science, biophysics, plant science, or a related discipline with applicability to agriculture. A record of peer-reviewed publications, grant support and other scholarly accomplishments commensurate with experience. Applicants should demonstrate expertise in one or more of the following topics: agricultural sensor technology, computer vision, data analytics and artificial intelligence, data engineering, robotics and automation, cloud computing, edge computing and computer-controlled delivery systems. Knowledge of plant physiology and fruit and vegetable production practices is desired. Preferred qualifications include postdoctoral experience, successful collaborative experience and ability to communicate effectively with diverse groups, including students, colleagues and industry stakeholders. We seek applicants whose record in research and professional service has prepared them to contribute to Cornell’s historical commitment to diversity. Assistant Research Professor (non-tenure track, three-year appointment) with salary competitive with peer institutions and commensurate with background and experience. An attractive fringe benefits package is provided. Reappointment or promotion to Associate Research Professor upon satisfactory performance review. Candidates should submit a cover letter, curriculum vitae, research statement, a statement of diversity, equity, and inclusion and arrange to have three reference letters submitted to Academic Jobs Online at https://academicjobsonline.org/ajo/jobs/12989. Questions may be directed to Search Committee Chair Larry Smart (lbs33@cornell.edu) or to Ms. Jana VanHouten (jv83@cornell.edu; 1-315-787-2211). Initial screening of applications will commence on January 31, 2019 and will continue until the position is filled. The new faculty member will join a collaborative, interdisciplinary community at Cornell AgriTech, in Geneva, New York, and home to the New York Center of Excellence in Food and Agriculture. Cornell AgriTech is reimagining the future of food and agriculture systems through innovative research, technology, and education to improve the health of the people, environment and economy of New York State and beyond. The successful candidate will be expected to work closely with a range of agricultural technology companies while securing extramural funding to support a research program from sources such as the USDA and other federal sponsors, New York State agricultural research funding sources and agricultural commodity boards. The successful candidate will also be expected to collaborate effectively in transdisciplinary projects with research and extension faculty in related disciplines and with specialists in Cornell Cooperative Extension. This position will have the opportunity to integrate with the Cornell Initiative for Digital Agriculture (CIDA), an interdisciplinary group of Cornell faculty from the colleges of Agriculture and Life Sciences, Engineering, Computing and Information Science, Veterinary Medicine and the S.C. Johnson College of Business to address the challenges of global food systems (http://www.digitalagriculture.cornell.edu/). The candidate’s academic affiliation is open to negotiation based on expertise and research focus and will be selected from one of the following units: Horticulture Section or Plant Pathology and Plant-Microbe Biology Section of the School of Integrative Plant Science (SIPS) or the Department of Entomology. Each unit boasts internationally renowned faculty who have robust collaborations, active research and extension projects focused on specialty crops. The College of Agriculture and Life Sciences is a pioneer of purpose-driven science and Cornell University’s second largest college. We work across disciplines to tackle the challenges of our time through world-renowned research, education and outreach. The questions we probe and the answers we seek focus on three overlapping concerns: natural and human systems; food, energy and environmental resources; and social, physical and economic well-being. For more information about SIPS, please visit https://sips.cals.cornell.edu/; about Entomology, please visit https://entomology.cals.cornell.edu/; or for more information about Cornell AgriTech, please visit https://agritech.cals.cornell.edu/. Grow with us.